He kept the best to the last, drawing the loudest decibels of applause from an otherwise partisan crowd and uniting all of the inky fraternity to home in on the single unanimous headline to bring the gavel down on a historic and epoch making chapter of Ghana’s history and March to an enlightened and accommodatingly mature political environment. In the final gems of what has been a superb and impeccably timed act of bringing levity, soberness, and proportionality to an otherwise pompous and overcharged legal tussle, ATUGUBA JSC, summed up the import and value of the seven month hearing of the Petition to annul the 2012 Presidential Elections. The Presiding Judge’s allusion to Osagyefo Polo Ground speech of March 06 1957, “At long last the Battle of Pink Sheets is over….., highlighted both the historic importance of the process that had exercised all of our minds for seven months, as well an affirmation that we will do well to protect, defend and cherish the nation state that our founders bequeathed to us. The parting shots to Dr Kwadwo Afari Djan were simply a master stroke. The unanimity of newspaper headlines the next day was the icing on the Atuguba JSC super act. It defused and swept away the unnecessary tensions between the Judiciary and the Press about the powers and limits that each of these great pillars who act in our name and on our behalf. It managed to sweep away any doubts, if indeed there were some, that the Bench inherently adopted a soft touch and accommodating attitude to the 2nd Respondent acting as a ventriloquist for the 1st Respondent. Indeed, the enthusiasm with which every single reportage welcomed the President’s words, and the amazing soberness and sense of togetherness that informed all the myriad of platforms of social punditry, was confirmation that ATUGUBA JSC had yanked is back from the brink of a potential “Kenya refrain” and managed to prepare EVERY GHANAIAN LIVING EVERYWHERE to accept the outcome of the case and continue to be each other’s keepers. Never mind the little spats that punctured the marathon proceedings. Ghana’s Supreme Court has demonstrated that it has all the skills of high intellect, sense of accommodation and sensitivity in spite of its awesome powers, the stamina and the vigour not to have missed a single day of hearings, individually and collectively; totally unbowed and articulate in giving insightful and very erudite interjections to bring clarity to the proceedings; demonstrating that their rulings were “on the face of the merits of each challenge” and not as predictable of every newspaper headline bar the one of the final day. My only previous encounter with ATUGUBA JSC was in the case of the Republic versus Kwame Pianim (circa 1996). This was when my senior Akora brother had gone to test the law as to whether he would be allowed to become a Presidential Candidate in the 1996 General Elections. The action had been brought against the considered advice of us who were working with him. 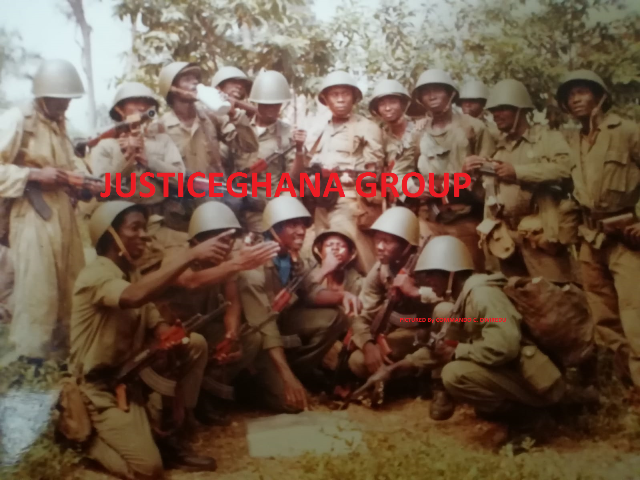 As it turned out, it was really an internal NPP dispute been played out in the Supreme Court of Ghana. After a dramatic 2-2 position had been reached. ATUGUBA JSC was placed in the unenviable position of casting the deciding vote for Kwame Pianim’s Presidential ambitions. The good Judge choked on his words as soon as he had begun; quickly abandoned any pretext of being able to continue with delivering his address, and visibly choking with tears, banished Kwame Pianim’s ambition into the dustbin of history. As one of those who had downed all other tools to work for Kwame’s bid, I was shattered and confused about the injustice meted out to the one who had been incarcerated for 10 years trying to defend Government by the people for the people. My instant retort was to label the ATUGUBA JSC as “Billy the Kid” for not standing up to what he knew to be the rightful position. and rather crying like a baby. It is against this background that today I am proud to publicly acknowledge that ATUGUBA JSC’s Presidency of the 2012 Election Petition, measured, sensitive, humorous, and above all uniting us in a common commitment to peace and brotherliness, may turn out to be the most important bequest to Oman Ghana since March 06 1957.